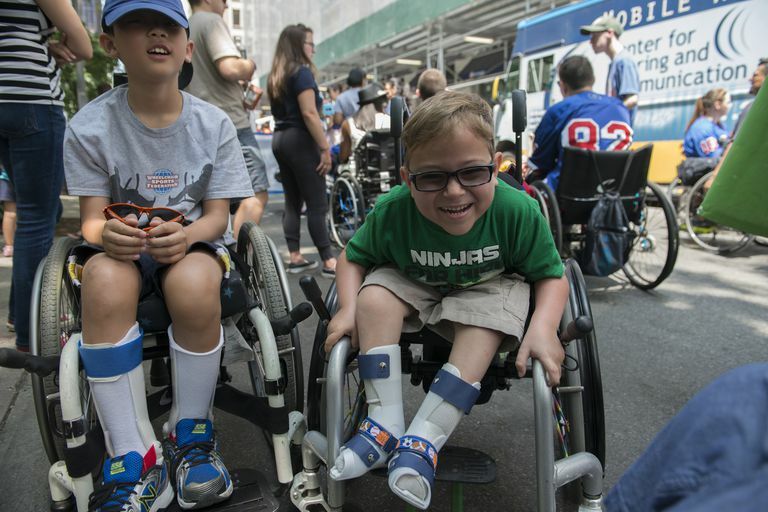 A boy with spinal bifida shares a laugh with friends. Sue Watson is a developmental support counselor who has worked in public education since 1991. Don't assume that the student in the wheelchair requires assistance; always ask the student if they would like your help before giving it. It's good to establish a method of how and when the student would like your assistance. Have this one-to-one conversation. When you engage with a student in a wheelchair and you're talking with them for more than a minute or two, kneel down to their level so that you're more face-to-face. Wheelchair users appreciate same-level dialogue. One student once said, "When I started using a wheelchair after my accident, everything and everyone in my life got taller." Always assess the halls, cloakrooms, and classroom to ensure that there are clear paths. Indicate clearly how and where they access doors for recess, and identify any barriers that may be in their way. If alternate paths are required, make this clear to the student. 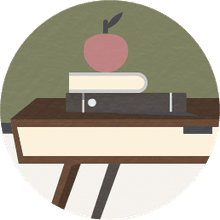 Make sure desks in your classroom are organized in a way that will accommodate the wheelchair user. For some reason, many teachers will pat the wheelchair user on the head or shoulder. This is often demeaning, and the student may feel patronized by this movement. Treat the child in the wheelchair the same way you would treat all children in your classroom. Remember that the child's wheelchair is a part of him/her, don't lean or hang off a wheelchair. Don't assume that the child in the wheelchair is suffering or can't do things as a result of being in the wheelchair. The wheelchair is this child's freedom. It's an enabler, not a disabler. Students in wheelchairs will need transfers for washrooms and transportation. When transfers occur, don't move the wheelchair out of reach from the child. Keep it in close proximity. What if you were to invite an individual who was in a wheelchair to your house for dinner? Think about what you would do ahead of time. Always plan to accommodate the wheelchair, and try to anticipate their needs in advance. Always beware of the barriers, and incorporate strategies around them. Students in wheelchairs attend public schools more and more regularly. Teachers and teacher/educational assistants need to understand the physical and emotional needs of students in wheelchairs. It's important to have the background information from parents and outside agencies if at all possible. The knowledge will better help you to understand the student's needs. Teachers and teacher assistants will need to take on a very strong leadership modeling role. When one models appropriate ways to support students with special needs, other children in the class learn how to be helpful and they learn how to react with empathy versus pity. They learn too that the wheelchair is an enabler, not a disabler.